A company issues stock to investors to raise money to use in its business. 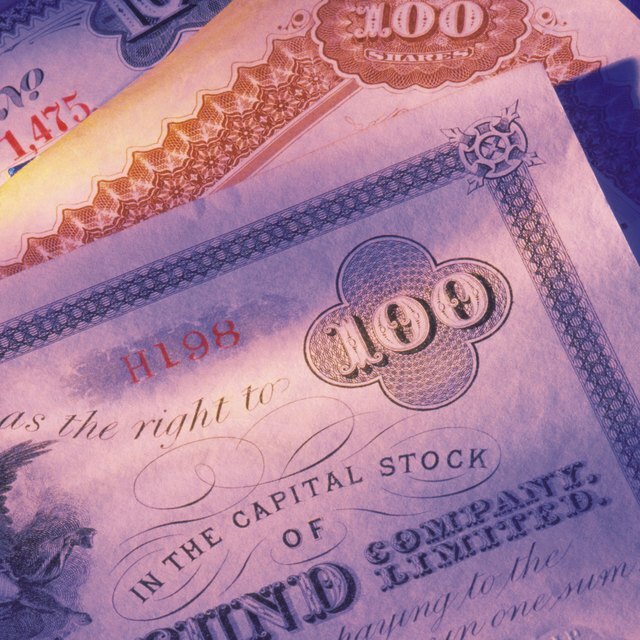 Investors pay money for a share of stock in exchange for a partial ownership in the company. The price for which the company sells each share of stock to investors is the issue price per share. A company that can command a higher issue price per share of stock will raise more money through the stock issuance. You may calculate the issue price per share of stock if you know how many shares were issued and the amount of money the company raised from the issuance. Find in a company’s annual report the number of shares of stock it sold to investors in a stock issuance. You may obtain a company’s annual report from the “investor relations” section of its website. Assume a company issued 1 million shares of stock. Find in the annual report the net proceeds the company received from the stock issuance and the amount of commissions and fees it paid to issue the stock. Net proceeds is the amount of money the company received after paying fees and commissions to underwriters and others involved in the issuance. In this example, assume the company received $9.5 million in net proceeds and paid $500,000 in fees and commissions. Add the amount of fees and commissions to the net proceeds to calculate the gross proceeds from the stock issuance. In this example, add $500,000 and $9.5 million to get $10 million in gross proceeds. Divide the gross proceeds by the number of shares issued to calculate the issue price per share. In this example, divide $10 million in gross proceeds by 1 million shares issued to get a $10 issue price per share. Compare a company’s issue price per share to its current price per share. If the stock’s price has increased since the stock issuance, investors have more confidence in the company’s future. If the stock price has decreased, investors are not as optimistic about the company as they were at the time of the issuance. Compare a company's issue price per share to its current price per share. If the stock's price has increased since the stock issuance, investors have more confidence in the company's future. If the stock price has decreased, investors are not as optimistic about the company as they were at the time of the issuance.